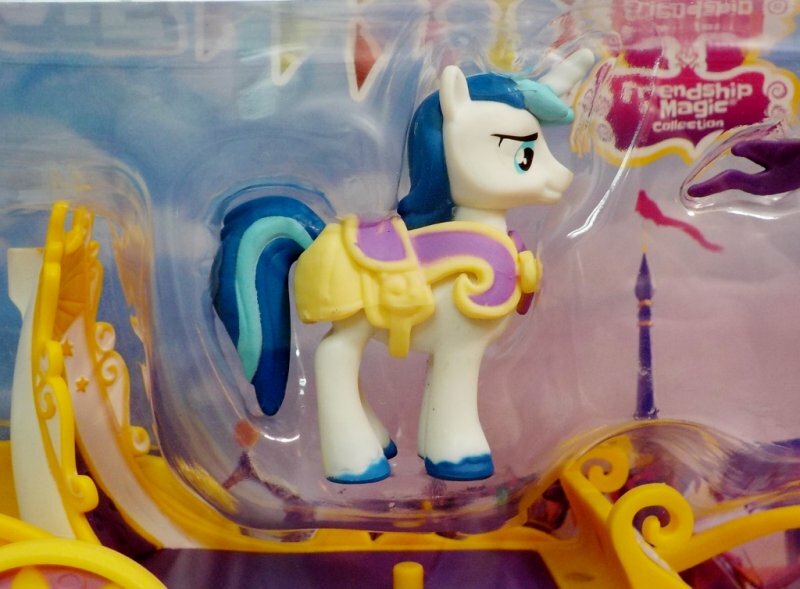 When Shining Armor arrives to the Friendship Festival, he'll make quite the royal entrance. 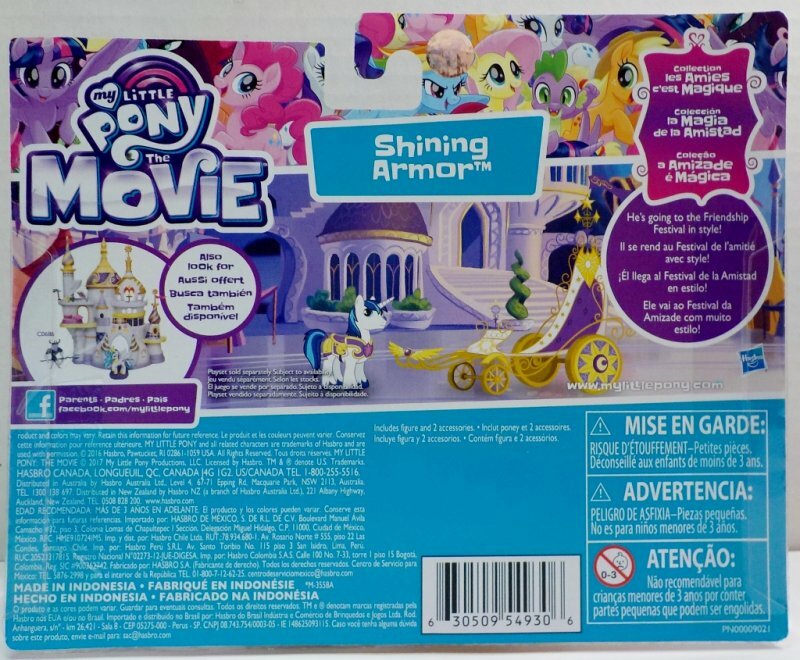 Dress him in his removable armor to get him ready to go in style. 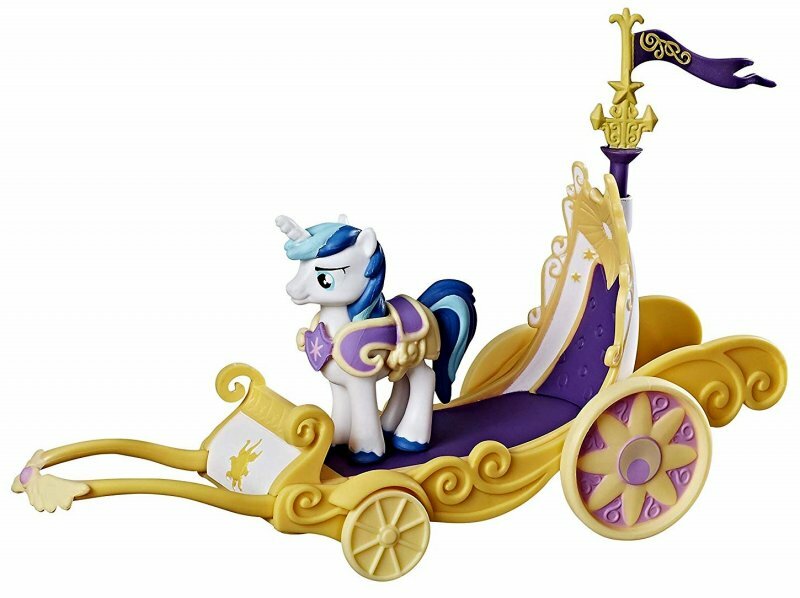 Then, place him inside his regalia-adorned chariot t0 imagine him riding around Canterlot. 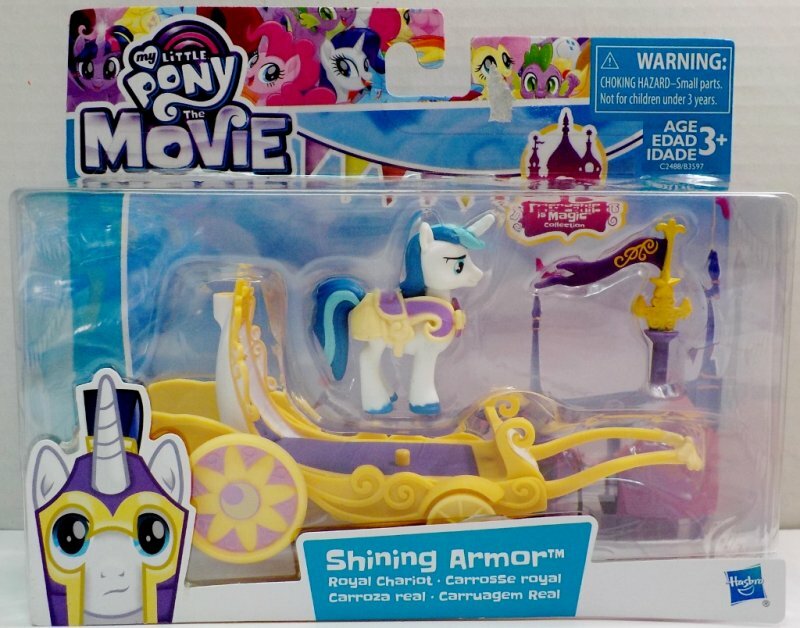 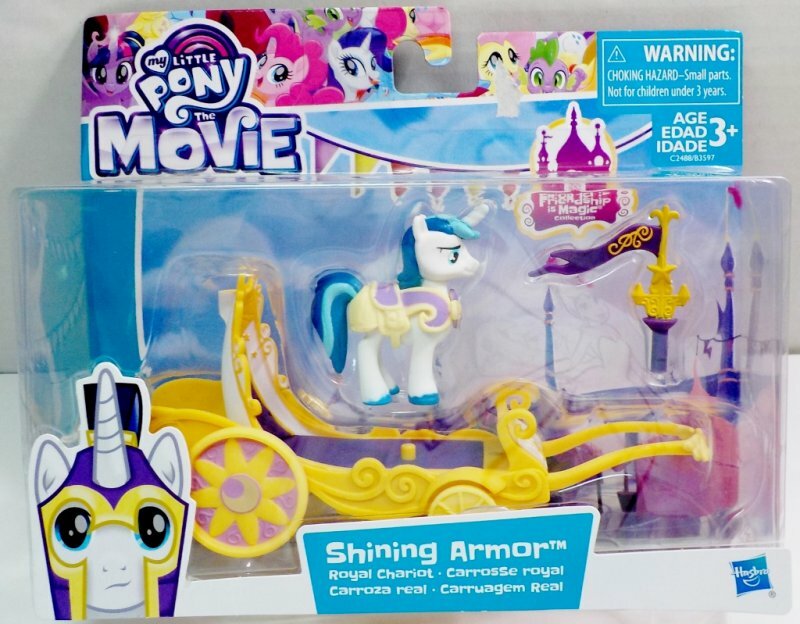 There's lots of friendship-filled pony stories to create with this Shining Armor figure and the Royal Chariot Set!